Silvia Moy work voluntary with Stevie when others did not wish, because his voice 15 year old was changing, and their business prospects were not clear. Since his big hit in 1963 - "Fingertips"- no managed to put another song on the charts. 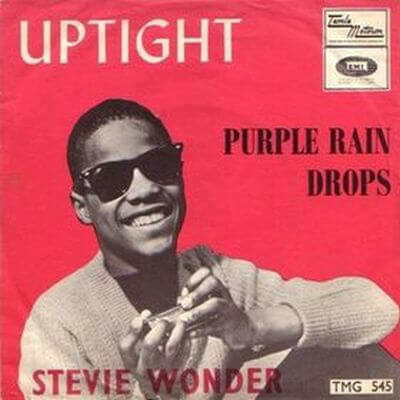 Reviewing the material with Stevie, Silvia Moy took note of a phrase that Stevie said; "Everything is alright, uptight" emerged the idea of the song. Stevie worked with the chords, Silvia with the vocal melody, and Cosby was in charge of the arrangements. The electric start guitar is inspired by the song of the Rolling Stones "(I Can not Get No) Satisfaction", the great success of last summer. In this way gave way to this success Stevie reaching the No. 3 on the charts USA .